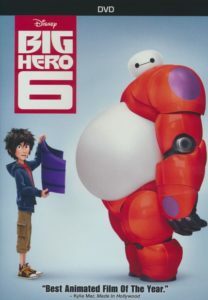 Big Hero 6 is a superhero movie that adults would enjoy watching with the whole family. The plot revolves around orphans Hiro and Tadashi, technological whiz kids living with their aunt. College-age Tadashi created an inflatable robot named Baymax, whose purpose is to act as a portable paramedic/doctor. When someone steals younger brother Hiro’s invention to use for evil, Hiro gives Baymax a few superhero upgrades. 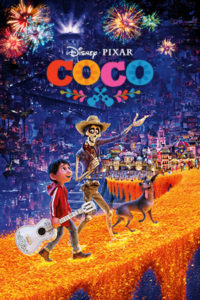 Also, check out our list, Great Movies: Kid Movies for Adults. This entry was posted in Joe and tagged adventure, animated, kids, movie, sci-fi on December 21, 2018 by ipplstaffblog. Moana is a spectacular adventure movie. 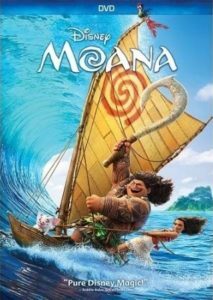 Charged with returning the heart of the goddess Te Fiti, Moana leaves her island nation and sails away on her mission. I absolutely love the animation of this movie. The ocean is a character in and of itself because of the creative team’s work. Some of my favorite moments though are those of Moana’s introspection and self-realization. Moana is a very different Disney “princess.” First of all, she rejects the word princess, and she has her own agenda, making the decision to follow her draw to the ocean. Also, she alone solves the mystery of Te Ka in order to save Te Fiti. I would be remiss if I didn’t mention the wonderful music that sets Moana soaring. While I love Auliʻi Cravalho‘s voice (the voice of Moana) and “How Far I’ll Go,” my favorite songs are the ones that are sung in Tokelauan. Lastly, I would encourage you to seek out reviews from Pacific Islander reviewers to speak to the culture represented in the movie. This Buzzfeed article is a great round-up of dialogue, and so is this review from Strange Horizons. All in all, I think Moana is a genuine, worthwhile story and a great Disney film that will stay with you long after the credits roll. 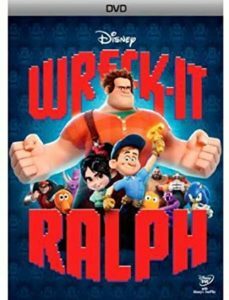 This entry was posted in Katie and tagged adventure, animated, kids, movie on November 30, 2018 by ipplstaffblog. Neo (Keanu Reeves) is a computer hacker with a somewhat ordinary life…but all is not as it seems. 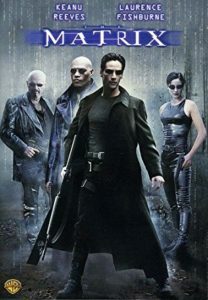 When government agents suddenly show up at his work looking for him, Neo is forced to enlist the aid of a mysterious man named Morpheus (Laurence Fishburne), who promises to reveal the true nature of reality—the Matrix. Should Neo join Morpheus’s secret group? The Matrix is full of amazing visual effects with a mind-blowing plot that will keep you on the edge of your seat right ‘til the end. 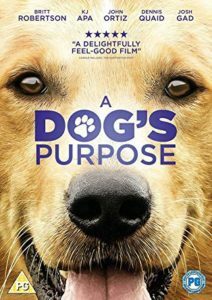 This entry was posted in Joe and tagged adventure, movie, sci-fi on November 16, 2018 by ipplstaffblog. 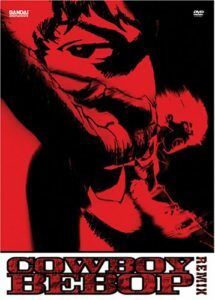 If you’re a Firefly fan, then you’ll definitely love Cowboy Bebop. Both are space-westerns with a sassy, devil-may-care crew. Join Spike Spiegel, Faye Valentine, Jet Black, Edward, and last but not least welsh corgi, Ein, on their adventures bounty-hunting their way through space. If you enjoy comedic action/adventures with a dramatic flair, this is the anime for you. This entry was posted in Ashe and tagged adventure, anime, comedy on October 16, 2018 by ipplstaffblog. Last month, I covered Pacific Rim. 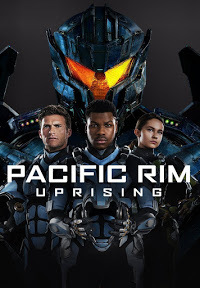 In the second film, Pacific Rim: Uprising, we meet Pentecost’s son, Jake (John Boyega), who is constantly getting into trouble in a post-dystopian world. 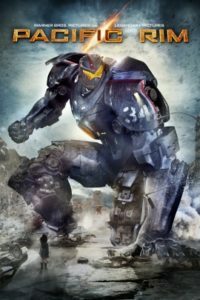 He tries to steal tech from an abandoned jaeger and is thwarted by Amara (Cailee Spaeny), a young girl building her own jaeger, which is against the law. Mako—now a major player in the war on kaiju—does her best to keep her adoptive brother in line and eventually offers Jake and Amara a choice: prison or returning to the jaeger academy to help train new recruits. Though the war is supposedly over, a new enemy—a human one—threatens to reopen the rift and allow the kaiju back into our world. Both movies are full of action and memorable characters and, honestly, who doesn’t love giant robots? Check out both films today and make it an adventure double feature. By the end, you’ll be hoping it doesn’t take another five years for the next movie to be released. 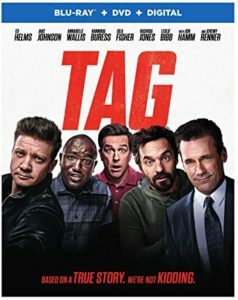 This entry was posted in Jez and tagged adventure, movie on September 28, 2018 by ipplstaffblog.